Rainbow Families in Washington DC is one of the country's best organizations for LGBTQ headed families. Darren Vance is the group's executive director. In this issue meet Darren’s husband John Paul and their son Xander, who is also gay. 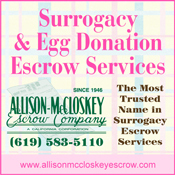 Considering family building through assisted reproduction for a biological child? Our 20th annual issue includes a directory of LGBTQ friendly assisted reproduction companies to help build your family. In addition, Michigan Center for Fertility & Women’s Health sheds some light on less expensive services to be considered other than IVF and a natural lubricant that enhances fertility treatment. Also in this issue, Carol Weathers, Program Director for Building Families recounts the story of one of their surrogate’s unwavering dedication to a gay couple. Find our 20th annual LGBTQ friendly summer camps and programs resource directory in this issue listing overnight camps, day camps, and summer programs located in CA, CT, ID, ME, MD, MA, MI, NJ, NM, NY, OH, TX, and VT. Looking for a summer camp or program for your child? This is the issue for you. Also, read about Odyssey Teen Camp, located in the Berkshire Mountains, they boast a diverse population including a large LGBTQ community. In the article Life and Death on a Farm, Hip Chick Farms CEO, Serafina Palandech, went from being a vegetarian for 21 years to learning how to raise and slaughter chickens. Meet her wife chef Jennifer Johnson and their daughter Rubyrose. Finally, in the essay, Hot Wheels, Latoya Samantha Leidig reflects upon her crumbling marriage and her young son Levi. Print copy orders available only in the USA. Order a digital copy for outside the USA. To order and for more content details, click below. Our 20th annual directory of companies to help build your family with biological babies, and our annual LGBTQ friendly summer camp & program listing. Meet Darren Vance of Rainbow Families, his husband John Paul, and their son Xander who is also gay.